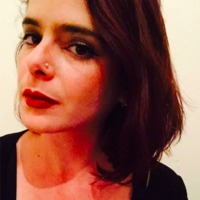 Dr Na’ama Carlin has a PhD in Social Sciences (Sociology) from UNSW. Presently Dr Carlin teaches, convenes, and lectures at UNSW. Dr Carlin’s teaching areas are classic and contemporary sociology and social theory, technologies, intro to sociology, sociology and human rights, social theory and policy, and culture and research. Dr Carlin’s primary research areas are sociology of religion, health and illness, embodiment and the body. Dr Carlin is also public commentator on topical and political issues. Dr Carlin’s area of expertise also includes applied sociology, bodies and embodiment, communication, culture and cultural policy, digital media, digital sociology, feminism, gender and sexuality, history of sociology, human rights and global justice, language and society, media, communication, information and public opinion, political sociology, social theory, and teaching sociology. Dr Carlin is looking for work in both teaching (tutorials, seminars, lectures) and research assistance (including consultancy). You can contact Dr Carlin by email or visit their Academia.edu profile.